Well now you want to Setup a Hotspot ? Did I hear you say CB RADIO? VK5NFT on S.E.R.G. is now connected to the N.B.N. network. Peter Becker on Reidy Park Centre Open Day. Tim Hann on Reidy Park Centre Open Day. 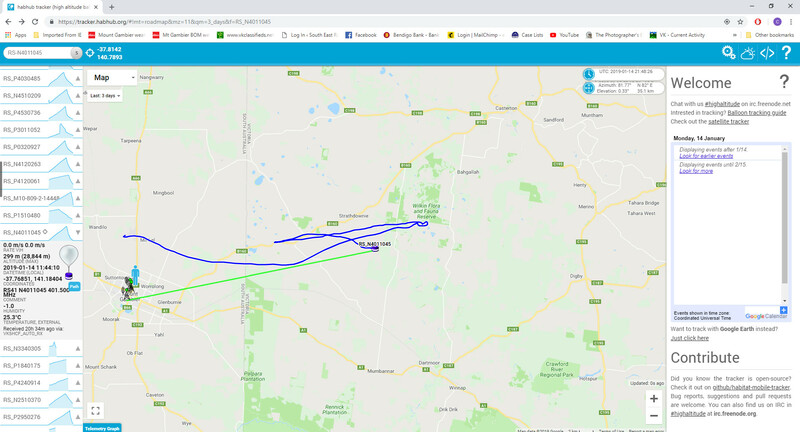 Recently a number of South East Radio Group members have been tracking weather balloons here in South East South Australia. 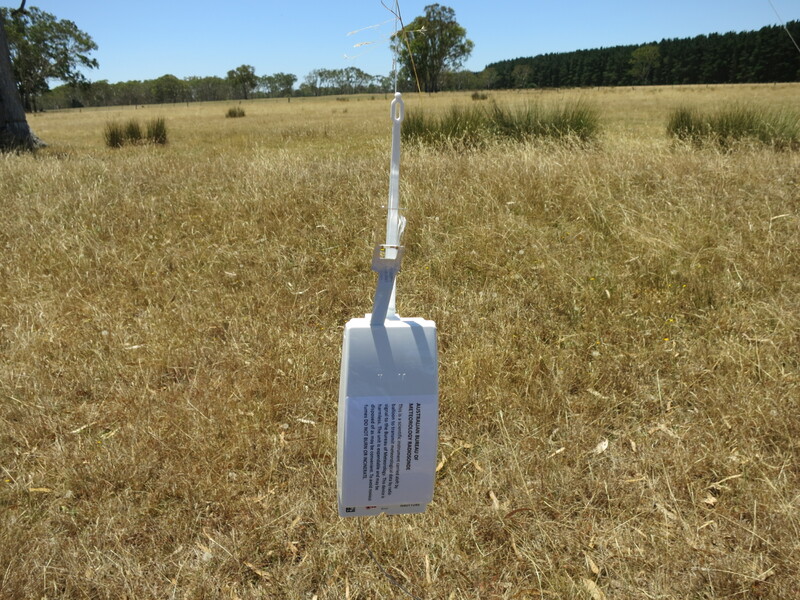 A balloon is released automatically from the Mount Gambier Airport each Monday and Thursday morning at 10.45 a.m. local time and if some unusual weather conditions are expected, at any time. 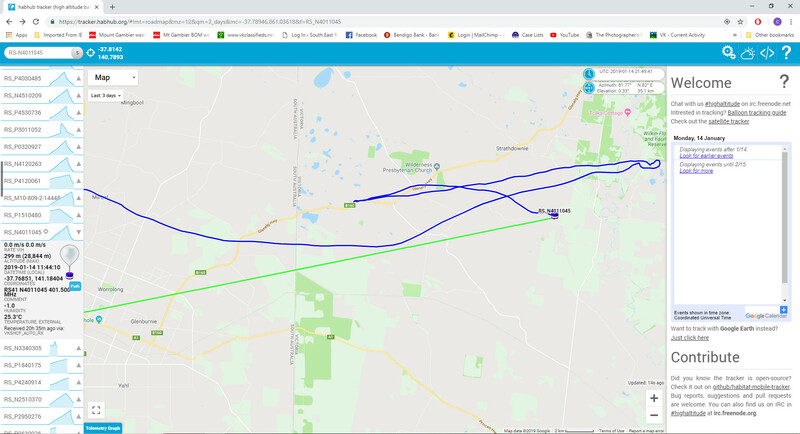 We watch the predicted flight path on Hab Hub Predictor and then track the actual flight path on Hab Hub Tracker. Sometimes the two plots agree and others not very well. 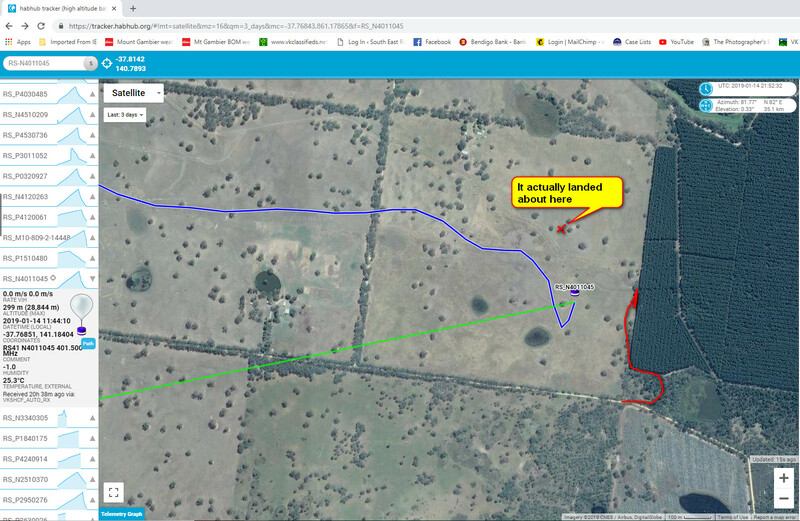 The prediction for yesterdays balloon originally had it landing somewhere near Hamilton but this was revised to a spot just East of Strathdownie in Victoria. Charles, VK5HD rang me at about 11 a.m. and asked if I was going to chase it or if I might be interested in doing so. As it was not going to be very far from the Mount I suggested that I ring Tom, VK5EE, and invite him as well. Charles agreed and Tom and I met up with him at his home in Mt. Gambier at 1 p.m. and off we went. After crossing the border on the way to Casterton we turned right onto West Strathdownie Road and then turned right onto McGrath’s Road. 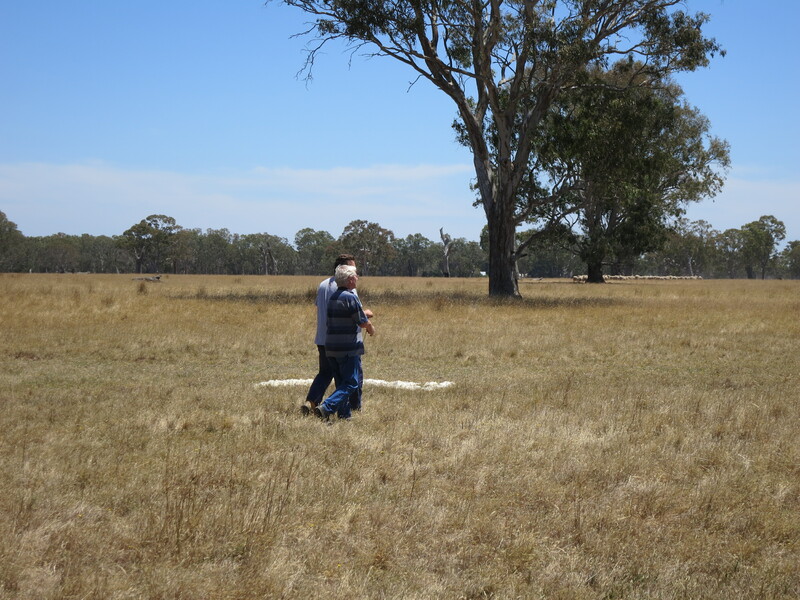 We travelled along McGrath’s Road for a short time until our GPS indicated that we were getting close to the landing area. 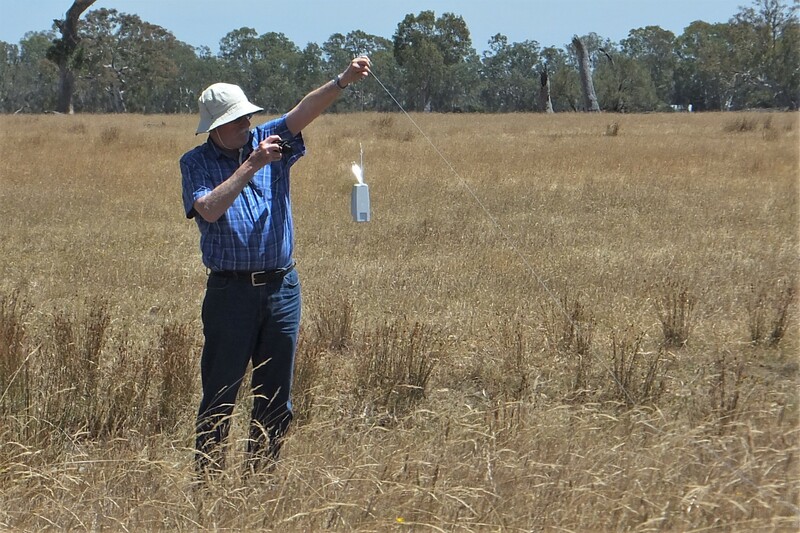 Charles had his hand held on and tuned to 401.500 Mhz. and right on cue we started to hear the signals from the Sonde. It had landed pretty much exactly where the tracker had placed it. 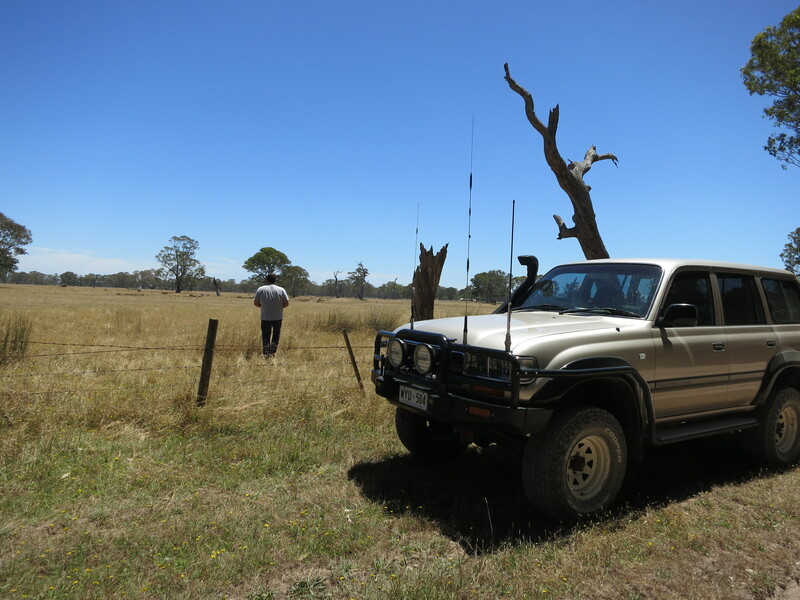 We turn off McGraths road and drove a few hundred metres up along the Western edge of a stand of pine trees and parked. 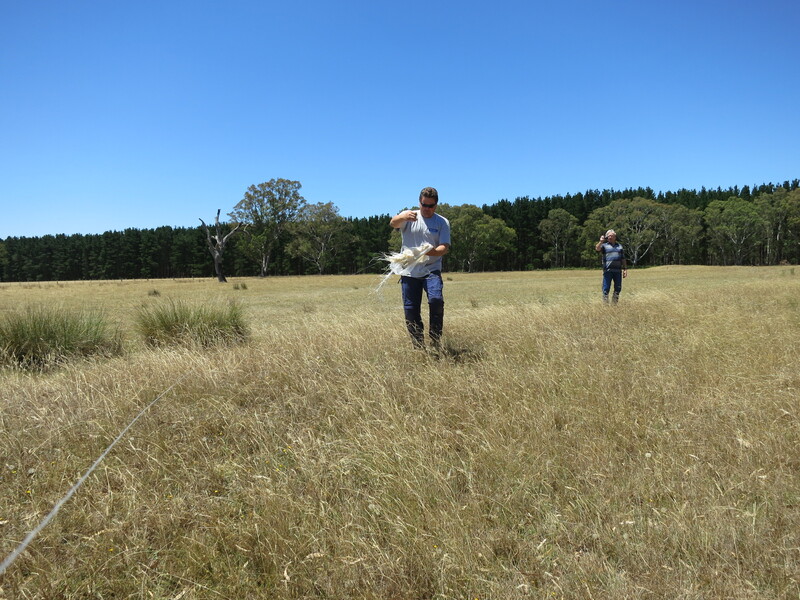 After climbing over the fence into the paddock Charles thought he could see the Sonde but it turned out to be the wool from a sheep carcass. Col, VK5HCF thought that he saw it just a bit to the North and so we changed direction and carried on walking. Bingo. There was the Balloon, (in tatters of course), and the parachute. 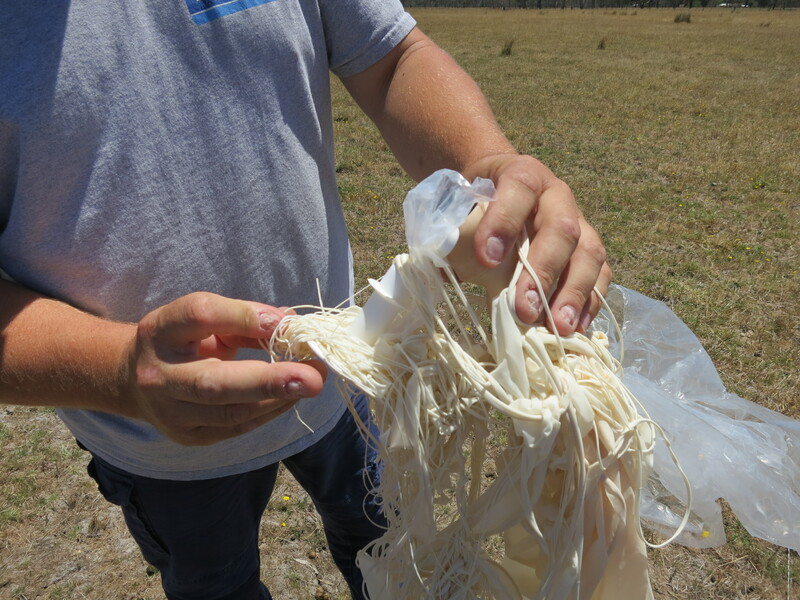 Col traced the flimsy line from the tangled mess of the Balloon back to the actual sonde. The line was surprisingly long, maybe 30 metres or so. All good. Charles coiled the whole mess up and we carried it all back to the car pretty happy with such an easy recovery. We were only away for about an hour or so which meant minimal disruption to our day. Previous Previous post: S.E.R.G. is now connected to the N.B.N. network.